As we were weaving our way through Plaka, we accidentally stumbled upon Anafiotika - a small Cycladic village at the base of the Acropolis. The village was built in the 19th century by stonemasons who had emigrated from the small island of Anafi. 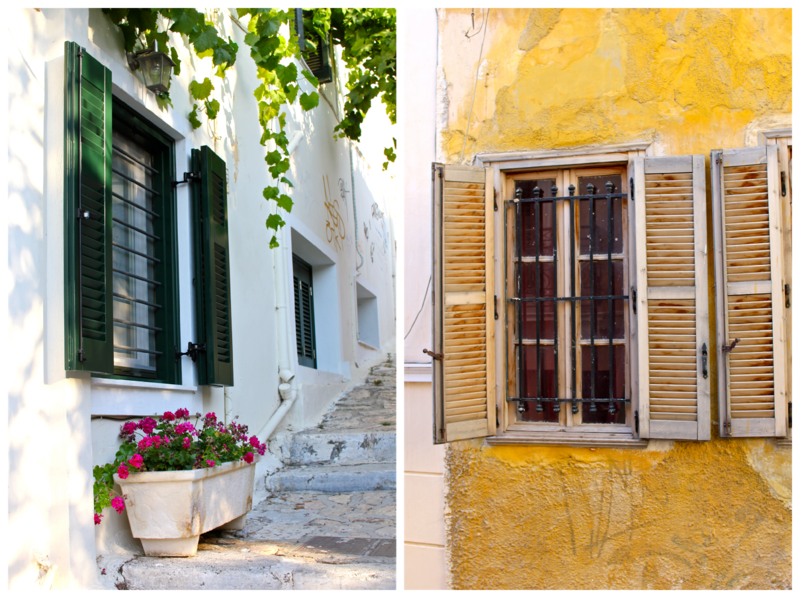 The workers stayed true to their roots by using architectural styles and colors that evoke the charm of island life. Everything about this tucked away neighborhood is charismatic and picturesque, and I could have spent hours admiring all of the little details. 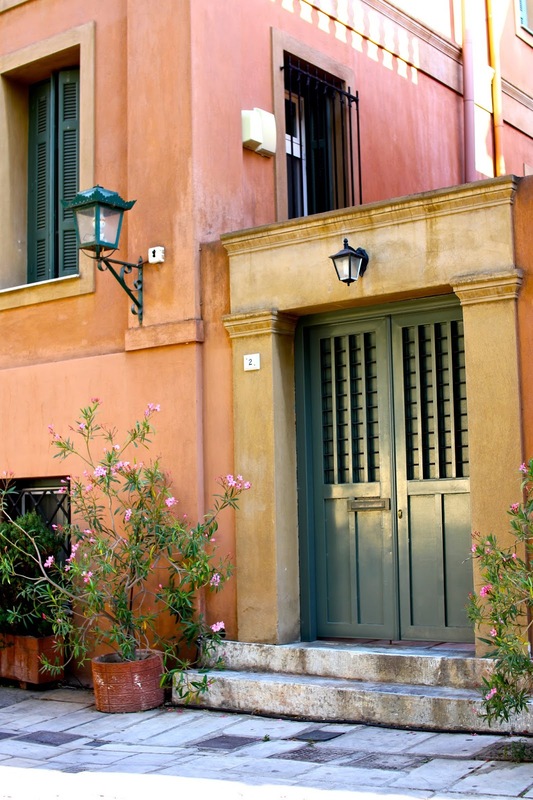 Vibrant flowers crawl up towards faded shutters, while friendly cats lounge in the shade of colorful buildings. Although this is exactly the kind of place where I'd expect hordes of tourists, it felt seemingly undiscovered. This quiet escape from the cacophony of the city was by far my favorite place to wander in Athens. Anafiotika is located on the northeastern slope of the Acropolis. 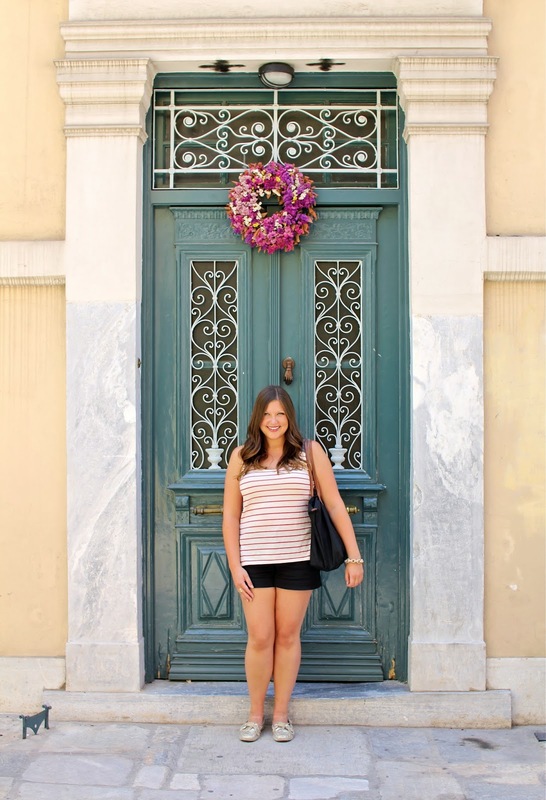 From Monastiraki square, walk towards the Acropolis and wind up the narrow streets. 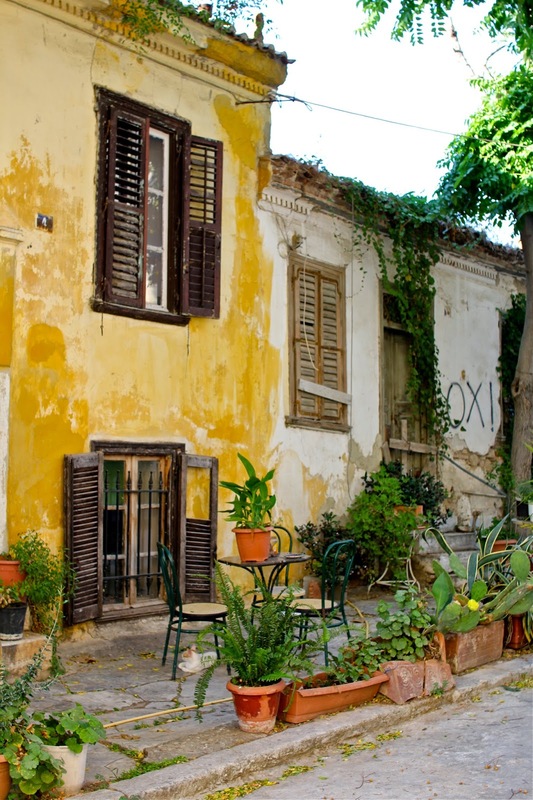 11 comments on "Anafiotika: Inside Athens' Hidden Village"
Even the graffiti looks pretty! I love little hidden gems in a city. They're the best things to discover! Especially so unexpectedly. So true!! 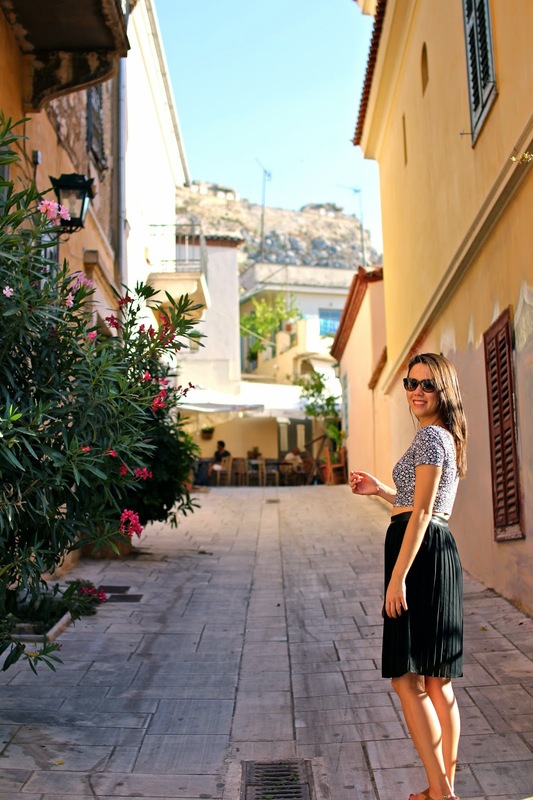 Athens definitely had that "vintage" vibe going for it, and this village was no exception! Gorgeous!!! I love the colors!! I was truly obsessed with all of the colors. They brought so much life to the neighborhood! ahh i've been there. so amazing. it's so colorful and bright! Isn't it so charming and vibrant? Hands down my favorite place in Athens! It really was. I wish I had taken more pictures!